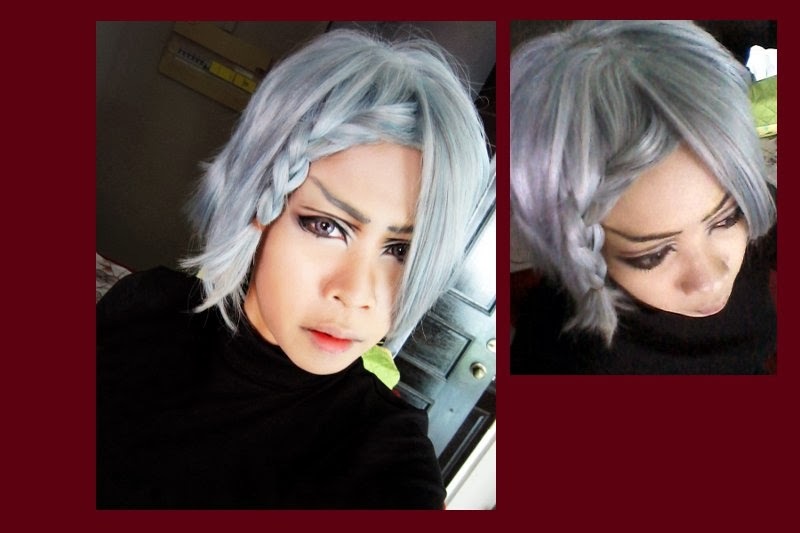 Who knows hair braiding on wig is so much more easier than real hair. Reason being; real hair is too 'soft' as compared to the 'more textured' and stiffer plastic of wigs. Maybe its just bad quality wig. 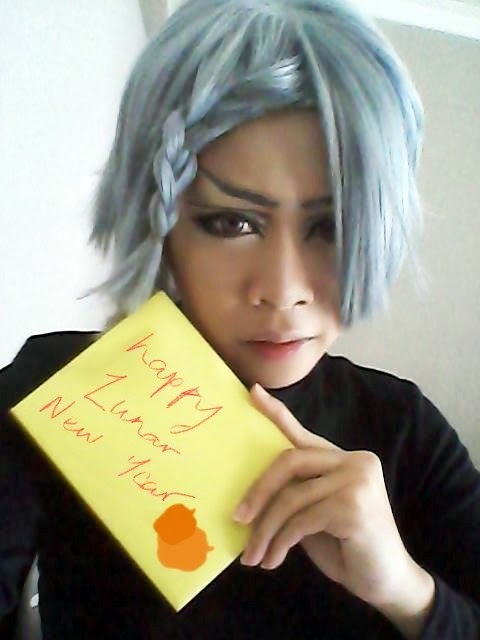 Hahaha and I didn't know Gokudera's wig was heat resistant. Ran out of eyeliner and grey eyebrow pencil. I had to use eyeshadow. That reminds me to wash brushes too.